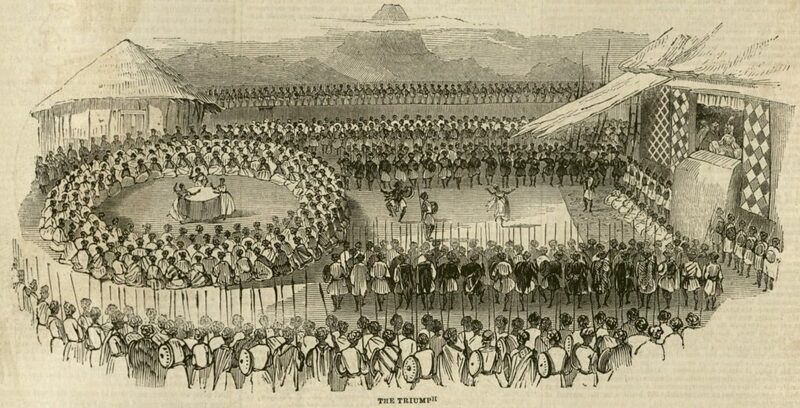 Ethiopia was long involved in the slave trade from the Horn of Africa. Several of the slaves that the kingdom sold into the trade were originally war prisoners, captured in wars and crusades waged against its neighbors, many of them Muslims. The Illustrated London News, 30 December 1843. Courtesy of University of Missouri Libraries.